Home > News > Admissions Stories > How Do I Write An Effective MBA Application? This week's question comes from MBA applicant Abhishek Singla (pictured). Abhishek graduated with a Bachelor's in mechanical engineering from an Indian university in 2016, and since then has worked in positions in customer service and marketing roles. He's hoping an MBA can help provide the skills he needs to further help companies create customer loyalty. His question is answered by Emily Preiss, MBA admissions director at Asia School of Business (ASB) in Kuala Lumpur, Malaysia. Do you have any tips on writing a powerful statement of intent and building a strong resume for MBA applications? Admissions teams evaluate applicants based on the qualities they are looking for in their MBA candidates. Most schools look for similar qualities such as leadership, teamwork, and creativity, as well as some unique qualities based on the ethos of the program. With that in mind, let’s talk about the resume. Your resume is a tool that helps convey your personal success and impact to the admissions team. When we read a resume, we look for the impact you’ve had in an organization beyond the day-to-day tasks in your job description. We look for ways that you have demonstrated the qualities we’re looking for, and we often source interview questions from your resume to give you the chance to demonstrate your strengths. That said, you should make sure everything you list on your resume is something you are ready and willing to discuss in detail. For example, if you pad your resume with startup experience that isn’t meaningful just because you believe it fits with our culture, you run the risk of falling flat in your interview when we ask you about it. Along the same lines, I would warn against over-quantifying when it isn’t necessary or meaningful, especially if you cannot explain how you arrived at a number. Finally, make sure to follow the instructions for resume formatting as they differ for each school. Following directions not only makes our job easier but also impacts our evaluation of your overall application. Let’s now talk about the statement of purpose, which we and some other schools call a “cover letter.” Unlike with the resume, there are few tips that apply universally to the content in a statement, as every school will be looking for different things. The most important piece of advice when writing your statements is to customize them for every school. Before you write, research the culture of each school and determine what you think sets that school apart. Tailor the statement to why you believe that particular school is a fit for you over any other school. Don’t just summarize facts about the school to prove that you’ve done your research, but make a connection between what the school provides and your background and career goals. As with the resume, determine the qualities you want the statement to convey, such as leadership or teamwork, and provide evidence of them without explicitly stating that you have them. This evidence should be a mix of qualitative and quantitative information, and not simply restate what’s in your resume, video, or any other part of your application. Before submitting your application, have someone that knows you well read your statement to make sure it’s authentic and in your voice. If it’s too generic or sounds false, your close friends and family will know better than anyone. Think of your statement as a sales pitch. What are the two or three big things you want us to remember about you? 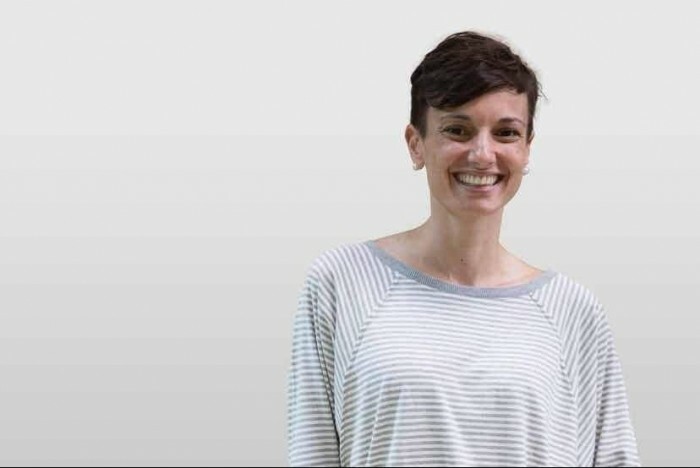 Next week, Marta Andaluz—marketing and admissions director for The Lisbon MBA—will be here to answer any questions you have about applying to business school. Marta has been at evaluating admissions to The Lisbon MBA for over 10 years, so she knows exactly what the school is looking for in their MBA candidates. Have a question for Marta? To be in with a chance of featuring next week, submit your question on our Twitter, Facebook, or LinkedIn pages, send us an email to info@businessbecause.com, or simply post a comment below!